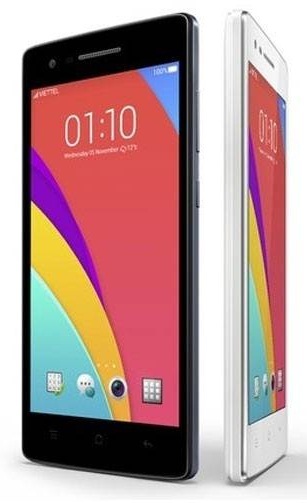 Here is an easy way to install oppo mirror 3 (3006) Stock ROM using MsmDownload Tools on your Android device. If you have any bootloop or bricked issue on your oppo mirror 3 (3006), try to fix it by yourself by following this guide. Bootloop is a situation where your smartphone starts or booting and then stuck only showing the Oppo logo only and then return to boot again. It will never stop until you switch off your phone by press and hold the power button for a while. So, if your oppo mirror 3 (3006) is bootloop, your phone will never show the phone menu. And you can't use your phone to make a call or send any text message to someone. The following guide will show to fix this issue by flash the new firmware to the oppo mirror 3 (3006) with MsmDownload software. Just read the instructions carefully to get the best result at your phone flashing. 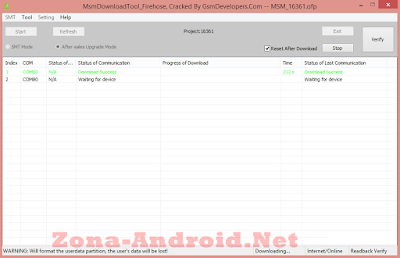 Download and install Qualcomm driver. While installing driver avoid using cable for successful installation. 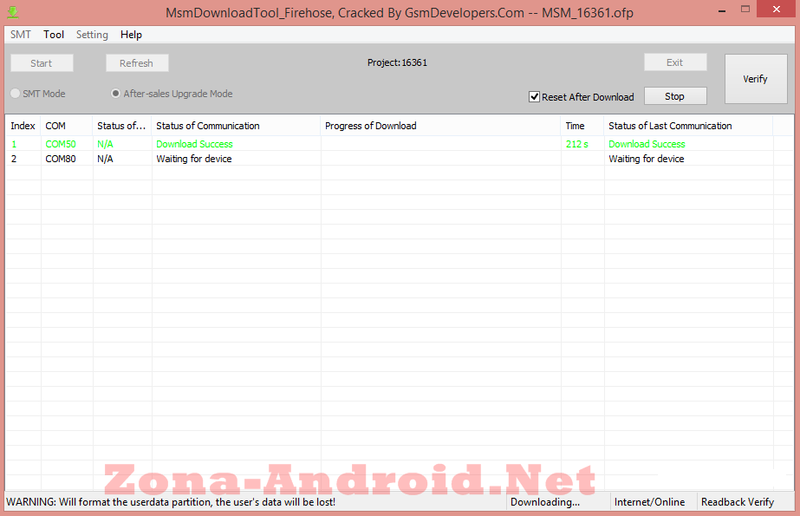 Download and Run MsmDownoloadTool.exe file as administrator. Click on verify button from tool. It will recognize your device and firmware automatically. Hit on “START” button to start the process and don’t interrupt the process. You can see flashing process bar on the tool. In the end of the process, unplug device and reboot it normally. Note: If tool is not working then copy the MsmDownload tool and transfer it into firmware folder. 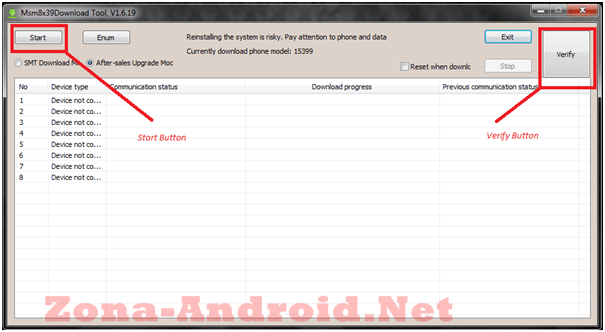 0 on: "How To Install Stock Firmware On Oppo Mirror 3 (3006)"